YES! 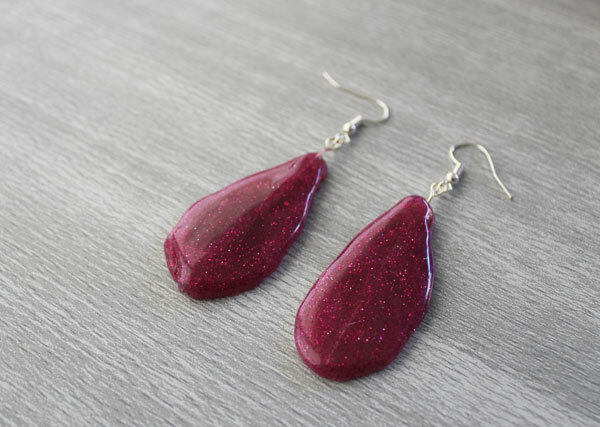 It is possible to make Earrings using Hot Glue! 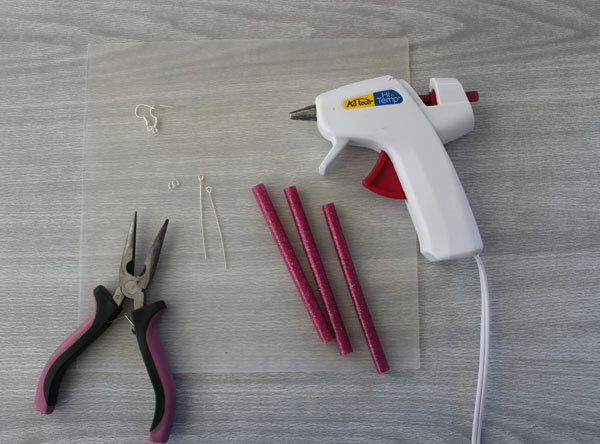 You can make your own Hot Glue earrings using the steps outlined below. 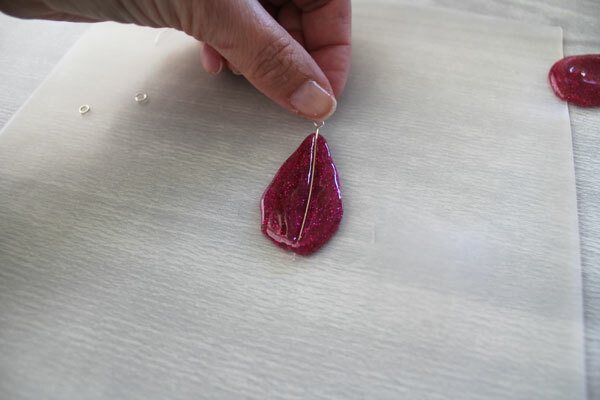 For this project I used glitter hot glue, but you can just as easily use colored hot glue instead for a different and equally stunning result! 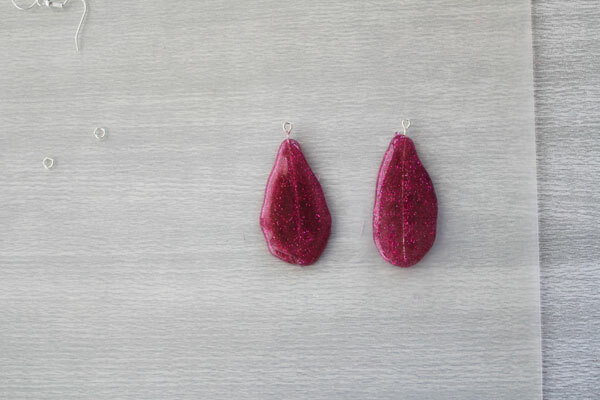 These Hot Glue Earrings are part of Craft Lighting Week. 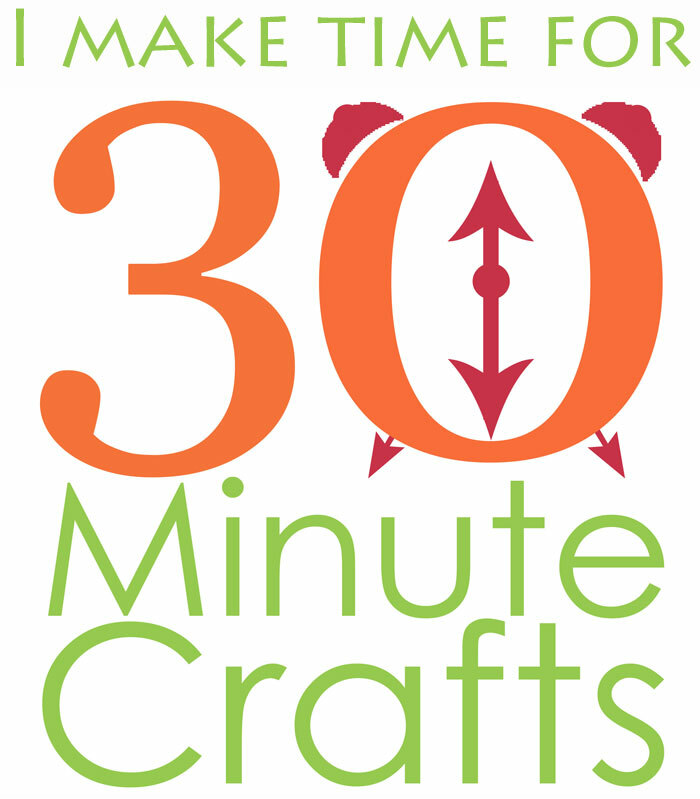 All week long we’re sharing Hot Glue crafts that can be made in 15 minutes or less as we celebrate Craft Lightning Hot Glue! 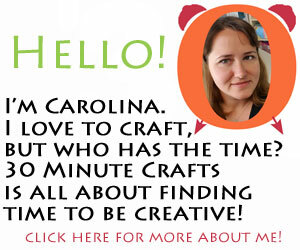 This week is also celebrating the release of the book I co-wrote with my longtime co-host for Craft Lightning, Angie from The Country Chic Cottage. We are so proud of the release of our book, “Hot Glue Hacks and Crafts,” and hope that you’ll purchase a copy from your favorite online or in-person retailer. 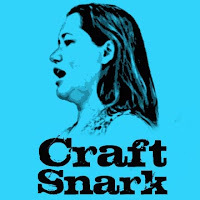 “Hot Glue Hacks and Crafts” is available online at Barnes and Noble and Amazon, and can be found at some Michael’s stores and independent bookstores. 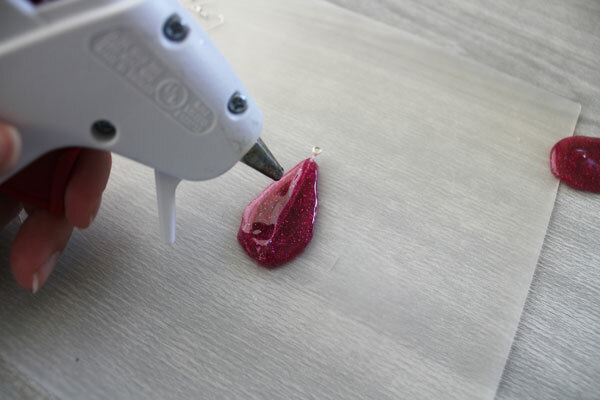 Start by drawing your earring shape onto the silicone mat. I chose a large teardrop. You can make whatever shape you like – circle, star, square, diamond, or other shape. Before the glue cools, insert the eye pin with the eye sticking out of the top. Before you insert the eye pin, make sure there is enough glue to cover the entire pin. Trim if needed before inserting it. Before the glue sets, cover the eye pin with more glitter hot glue. 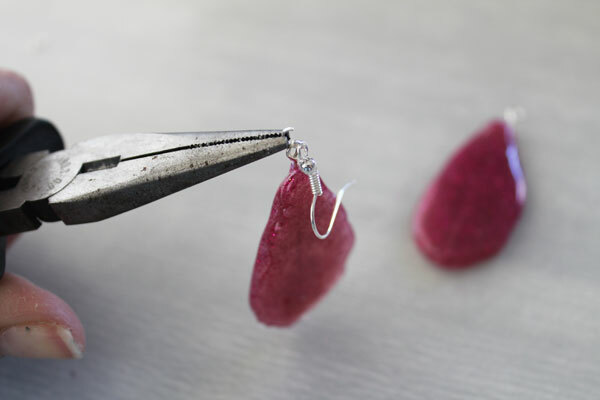 While the earring cools, repeat these steps making a second earring. Use the jump rings and jewelry pliers to attach the earring wires. 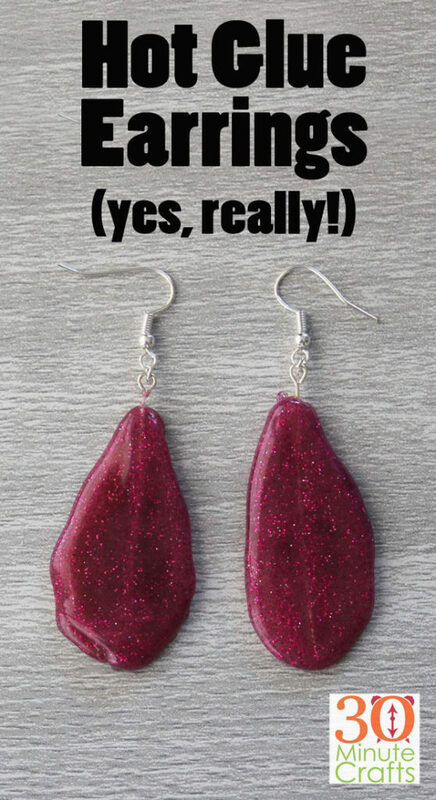 Your hot glue earrings are complete! 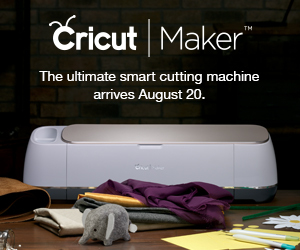 Make as many sets as you like – hot glue is wonderfully lightweight and inexpensive. 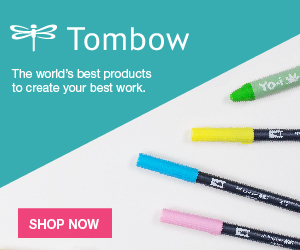 Perfect for making lots and lots of earrings!